Earn your stripes as you navigate FlyBoy through treacherous environments in his quest to save the world. The FlyBoy gaming experience is unlike any game you’ve played before. 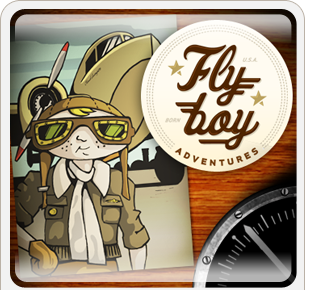 FlyBoy will captivate you with non-stop action and thrills around every corner. Play it again and again, each time a unique and custom experience. Completely addictive and fun! *Works for iPod Touch, iPhone Original, iPhone 3G, iPhone 3GS, iPhone 4(s), and iPad. The Q series of games for iPhone and iPod Touch are thought-provoking and laughter-inspiring and help you connect with the important people in your life! Want to connect with someone in a more authentic way? 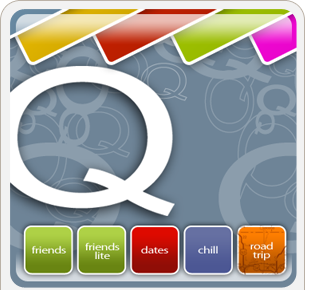 Download Q friends lite now for free!